Discover the keys to unleashing your true inner power by harnessing the abilities of your subconscious mind. You are standing on the precipice of greatness. You are far closer than you think. All you need to do is let go of your fear of success. And these tapes will help you do just that. After listening and immersing yourself to the quiet consistency of direction. You will see yourself, hear yourself, and truly feel yourself in the most successful form you can be. I have started using the principles. 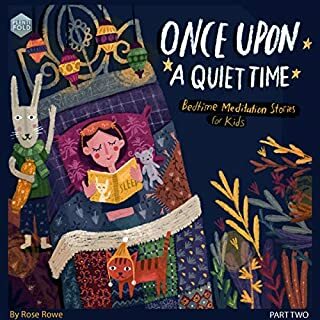 This book helps children to reconnect to their quiet imagination - creating a moment of calmness, making kids more relaxed and less anxious. These stories include basic mindfulness techniques such as being attentive to your breath, identifying body sensations, and actively feeling grateful and loving. Rebekah Daniels is just your ordinary spunky 9 year old girl living in the small town of Curtis Bay...Except she is determined NOT to be ordinary at all! Her small town is filled with mysteries and Rebekah is sure that she, along with her best friend Mouse, will be able to solve every last one of them. 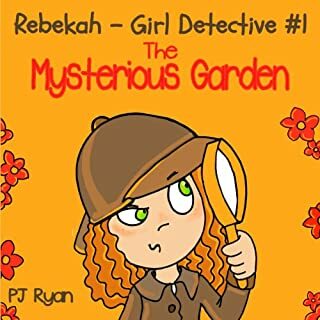 In this fun adventure she sets out to solve the mystery that has taken over the local community garden. A great story to share with a young child. Jack Miller has spent his entire nine years in the same house on the same street in the same town with the same best friend. One day, while delivering papers on his same ordinary paper route, Jack finds himself amidst a very unordinary world. A world where strange and silly monsters become his friends. 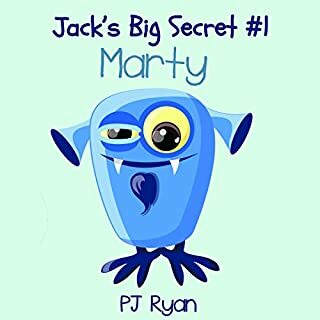 This is the first of several adventures that Jack and his best friend, Annabelle, will have in the secret world that Jack discovers that fateful day. 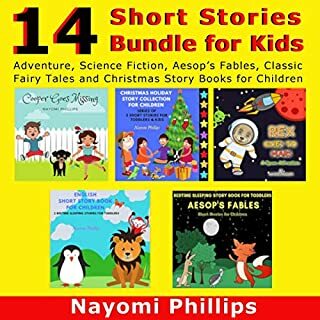 Adventure, science fiction, aesop’s fables, classic fairy tales, and Christmas story books for children. Part of Mary Fern's best-selling Bedtime Series, these audiobooks are specially designed to help calm worried and anxious children. Many children do not like the dark. Irrational fears can take hold of them at bedtime and being left alone can become an anxious time for them. No one really knows what sparks off these feelings of insecurity at night time. They can be triggered by so many different things. 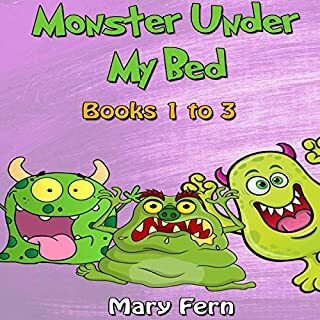 Mary Fern’s Monster Under The Bed series is aimed at calming down and reassuring children that they are safe and secure when they are tucked up in their beds. A complement to the previous book called A Handbook on Anti-Aging Solutions, this guide will advise you on the right types of supplements to take to help you stay youthful. It describes the uses and benefits of specific anti-aging supplements to keep your healthy and strong. Lovely information to stay young! Haz estos cambios simples y económicos en tu dieta y comienza a sentirte mejor dentro de 24 horas! Si tienes acceso a un supermercado normal, puedes sentirte mejor dentro de 24 horas. 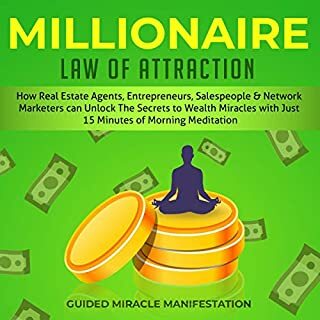 Have you ever looked at other people and wondered, “Why does it seem that all the good things in life seem to gravitate automatically toward them?” What are they doing, and what is their secret in effortlessly attracting health, wealth, and happiness into their daily routine? You can have it, too! Get a killer fat burning workout from home, even if you’ve never thrown a punch in your life. Did you know you can burn more than 400 calories with just 30 minutes of boxing? That’s twice as much as running on the treadmill! And more than swimming, rowing, or lifting weights. With these simple to follow audio workouts, you don’t need any training. No special equipment - just you and your hands - and you can do the workouts in your living room. You won't get bored by this audiobook! This helps you listen for understanding. This audiobook will show you how to use body language to create fruitful relationships and achieve success in life! The material is well arranged and flows easily. Are you having headache planning a Christmas meal for your diabetic loved one?Unlike other books, this guide shares the recipes using ingredients that are low sugar and have high fiber carbs for you and your loved ones to enjoy this X’mas without worries. From this audiobook you will discover: the symptoms of Type 2 diabetes to enable you to seek early medical advice to fight off diabetes, the type of power foods that can help you regulate your blood sugar and feel satisfied longer, ten simple guidelines towards healthy diet that can help you improve diabetes, and more. Wow this is an amazing cookbook! This is such a great deal! With all the things you need to take into account before your new baby is born, the thought of having enough time to carefully consider baby names can seem almost impossible. Luckily, Baby Names has collected many of today’s most popular names as well as those that are likely to be trending in the coming years, all in one place. This is an excellent book this book. Eight stories, eight times the fun! Story 1: Ruben grows up on a farm with pigs, horses, and chickens. He works at a construction company, but the appearance of certain animals makes him question his background. Is Ruben really destined to be more than what he is? A pig, a firefly, and an eagle reveal his true identity, his true home, and his true bloodline. His destiny awaits him. Story 2: They remember how it all started...how the experiment went wrong. Perhaps the answer lies at the school they came from. Sander and Sally find themselves fighting back hordes of zombies and wonder if it is ever going to stop. But then they meet a zombie who is different from the rest. Will this particular zombie lead them to the solution of the apocalypse? Story 3: Meow is a scared kitten. His older sisters and mother always protected him. He gets teased by other kittens, and he especially a wimp when it comes to water. He hates it! He won't go near it...until a certain event in the harbor village changes his life forever and turns him into a true hero. A ship, a vision, and a breaking dam cause a wimpy kitten to turn into the savior of the village. Story 4: The main character is a mysterious figure showing up, spooking people out, planting trees randomly, and building pyramids in inconsistent locations. Discover through this audiobook what he has to say about his reasons for doing so and find out more about this mysterious being. Story 5: These ninjas are on a mission. They detest the inequality in the lands and decide to do something about it. Providing for the poor and stealing from the rich is their purpose, but they are yet to face a true evil among them, another ninja who stands in their way and seeks nothing else but to destroy these benevolent guys. Story 6: The life of Rufus the Knight is slow but satisfying, until he finds out he could do better. Looking for answers to help him improve his talents, he seeks out the commander of the protecting knight army. Focused on his goal to become a true hero, Rufus ventures for excellence as he come across mean creatures and vile monsters before he can call himself a Knight of Honor. Story 7: Meet Wesley, a boy with a high intelligence and a moral conscience. In his chemistry class, the teacher challenges all the gifted students to find a formula that can change the world. After heading to the school library, Wesley finds a dusty book with ancient spells and potions recipes, with which the possibilities are almost endless. He succeeds but wonders about the consequences of these potions. Story 8: Bart the Bunny is a smart one. His brother and he are innocently playing in the fields, until they discover a threatening creature that will bring the life of thousands of rabbits in danger. Will Billy and his brother find a way to trap the wicked hunter with its clever wits? I thought the ninja story was great, as well as the scientist kid who terminated his discoveries because they were too dangerous for mankind (spoiler). Good moral of the story. I thought this was going to be a good book, and I knew it would be. It didn't let me down. I liked the story about the hero who had to do the tests and the big fish when he had to go to the bridge. I thought the fourth story was a little weird, with the pyramid building and all, but the first one was truly inspirational for our kids, as well as the one with the kitten. My kids' favorite was teh story about the kitten. The kitten got a vision about the village drowning and saved the city. The other ones were cool too. All of these stories are super awesome! My kids love them and I love them too! Woot woot! It contains so many cool stories. I laughed, I was sitting on the edge of my seat. Our kids liked it a lot. I like the stories. My favorite is the first one, where the hero saves the princess by self-sacrifice. Reminds me of the Swan Lake animated movie or something. 8 books, can't get any better! I liked the story of the bunny and how he outsmarted the fox. Other kids might like others better. I have no idea. I saw some reviews and decided to give it a go. It was worth it, and I think Jeff Child is an excellent, professional author for children's books. Our kid thought these stories were way cool! So much adventure and so much mystery! There are jokes, plot twists, and so much more. A book for boys, some for girls, depending... and a lot better for the 8-12 year olds, I think. I thought the ninja books were cool, but the zombie apocalypse and the sword fights in the first story were great for older kids as well. Story 3 and 7 were more for younger children. Very enjoyable. Good for older kids. Awesome adventures, trials, knights, ninjas, pyramids, and zombies. Very nice for kids. These stories are fun, exciting, and great for older kids. Probably more for boys, but girls would probably enjoy them too. Very diverse stories. The cat and the bunny story had more in common with each other, but the villager, the zombies, the true hero... those were all similar in nature. And then there is the anti-hero and the chemistry boy, those were more like older kids but not necessarily about a lot of fighting. So are ninjas and knights and princesses and castles. There are even some inspirational stories in here about heroism, self-sacrifice, realizing where you come from, etc. What's more important is that my kid liked it. I think the last story was the favorite in the family. Wow! Wow! Wow! Better than Minecraft or Pokemon or Fortnite. At least these are original. 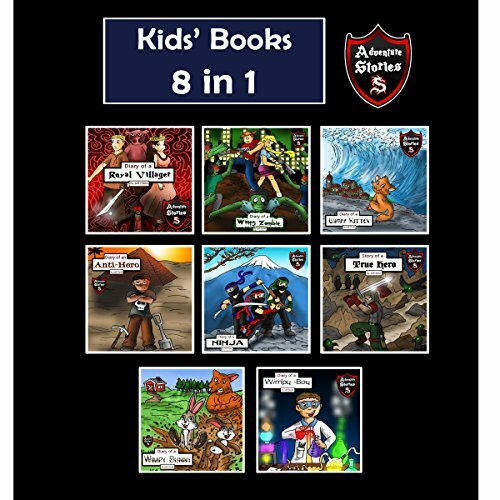 This is a fun action and adventure packed book of small stories. I let my siblings (7 and 9 years old) listen to one of them and they wanted more.